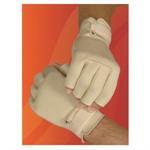 These arthritis gloves provide light compression for comfortable support. The unique material retains the body's natural heat to provide soothing, therapeutic warmth and long-lasting pain relief to aching wrists, fingers and hands. Soft lining wicks moisture away to keep hands dry. Ideal for arthritis, aching fingers, hands or wrists, overuse or repetitive use injuries, carpal tunnel syndrome and tendonitis. 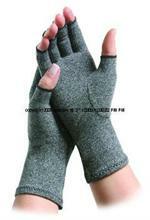 Retains body heat to provide soothing warmth to aching fingers and hands. 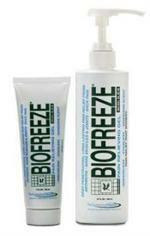 Naturally relieves hand and finger pain associated with arthritis. 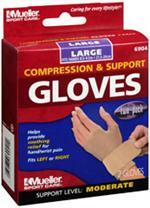 Light compression helps reduce swelling, Promotes healing by increasing circulation around tender joints. Improves hand and wrist mobility and allows for faster return to daily activities. One pair. Wearing: Open closures on gloves. Slide fingers into gloves and pull up over hands. Fasten closure on each glove. Care: Fasten closures. Hand wash in warm water with gentle soap. Air dry. Do not bleach or tumble dry. Ensure completely dry before reapplying. Sizing: Measure the circumference of the hand around the knuckle. Small: Fits 7 - 7-3/4 inches. Medium: 8 - 8-3/4 inches. Large: 9-1/4 - 10-1/2 inches. X-Large: 10-3/4 - 11-1/2 inches. For women and men. This product contains neoprene. Contact of this material with skin may cause irritation. Persons with a known susceptibility to dermatitis or with broken skin should avoid contact with this material. Anyone who develops skin irritation from contact with this material should discontinue its use immediately and consult a physician. Should not be worn with persons with phlebitis or circulatory disorders. Not recommended to be worn while sleeping.